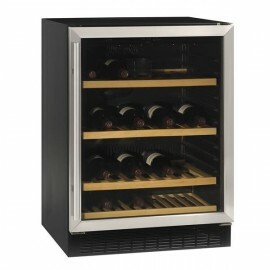 Tefcold TFW365-2 dual compartment wine cooler with dual temperature zones Ideal for white or red wine. Sliding wooden shelves allow easy access and the unit is fitted with a digital temperature display, LED lighting and lock. 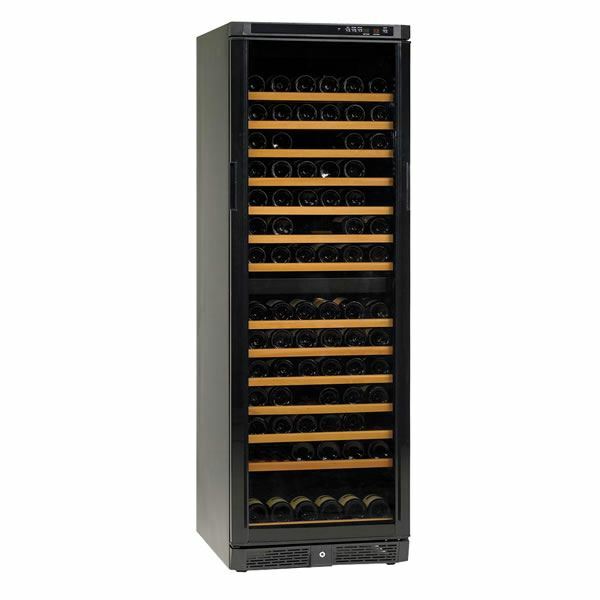 The Tefcold TFW160S dual temperature wine cooler has a capacity that can hold up to 42 bottles of bo..
Mondial Elite VINUMPR40 wine cooler. 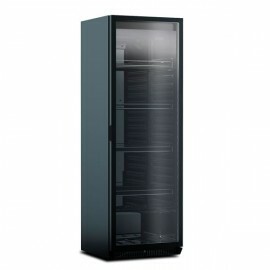 Finished in black with four adjustable and reclining shelves, a..